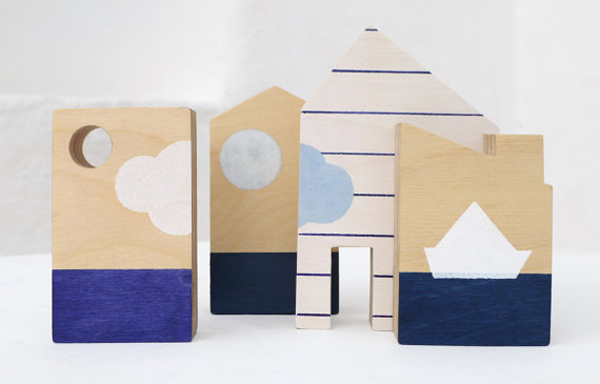 Wooden play scenes hand cut and hand painted by two passionate artisans residing in the magnificent Greek islands – it almost sounds too dreamy to be true, but it is! 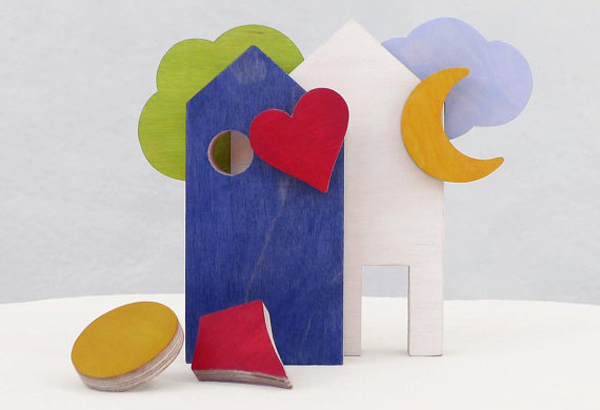 Picture-postcard descriptions aside, artisans Jose and Athina of The Wandering Workshop specialise in creating beautiful wooden block play scenes for children all over the world, drawing inspiration from their home in the Cyclades islands, Greece. The Little House Stories set (pictured top) is just one of several wooden block sets available and look just as cute perched on a shelf for display when not being used for play. 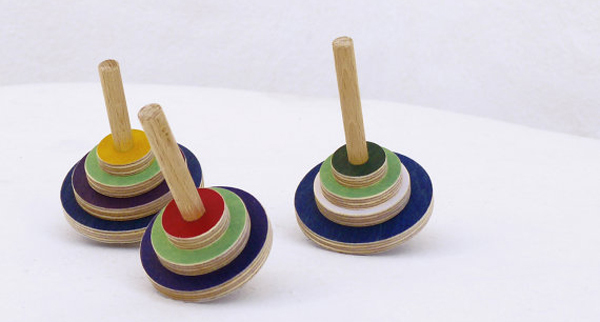 For those that love a spinning top, The Wandering Workshop has beautifully cut and painted tops, available singly for $15 or in a set of three for $35. 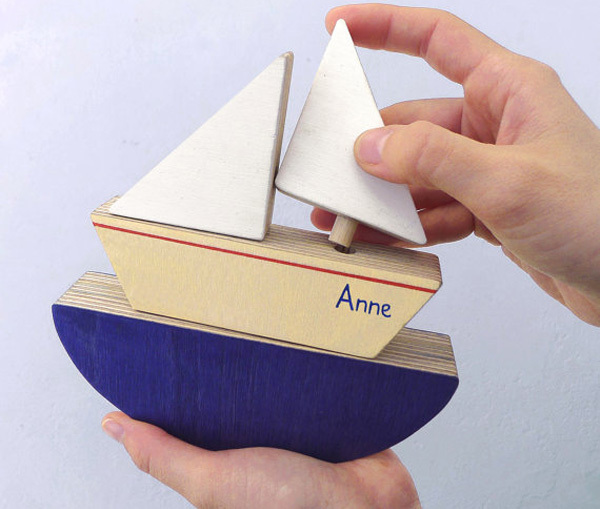 If you, or someone you know intends a nautical themed space for their child, the Personalised Toy Boat is perhaps the ultimate puzzle toy gift to give. For even more enchanting handmade toys, see all that’s on offer at The Wandering Workshop.